The ocean-inspired concept for remodeling the international terminal at LAX is named one of the state's 10 most promising architectural projects by California Home and Design magazine. LOS ANGELES -- The ocean-inspired concept for remodeling the international terminal at LAX was named one of the state's 10 most promising architectural projects by California Home and Design magazine, it was announced Tuesday. Fentress Architects came up with the idea of designing rooftops resembling crashing waves and other elements inspired by the nearby Pacific. The arches of Los Angeles International Airport's iconic theme building also are incorporated into the overall design. 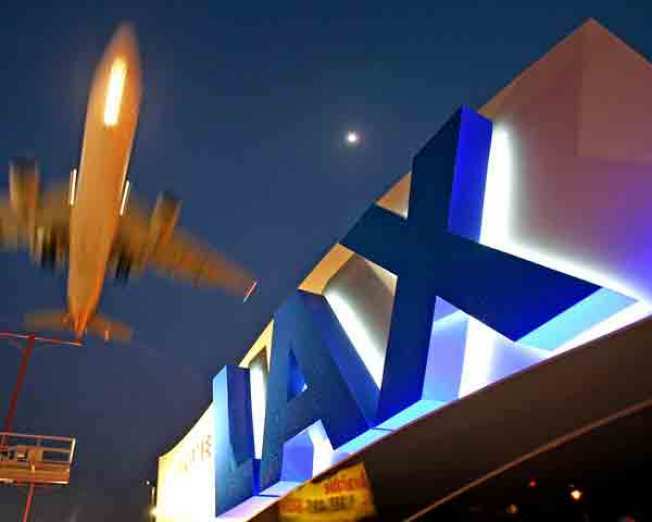 "This distinction proclaims that we are on the right track in terms of modernizing LAX, dramatically enhancing the passenger experience and reestablishing the airport as a modern U.S. gateway in a competitive global market," said Gina Marie Lindsey, executive director of Los Angeles World Airports. The project is expected to cost $2 billion to $3 billion. Fentress Architects won a $41.5 million, three-year contract to design the west side of the Tom Bradley International Terminal and a midfield concourse. The Bradley West project will take about seven years to complete. The firm also designed Denver International Airport, where the roof is adorned with white fiberglass peaks to represent the Rocky Mountains.